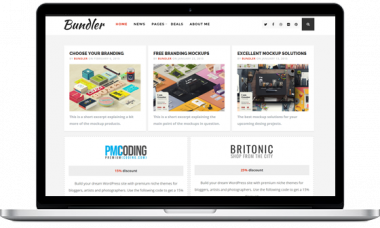 We design, code and build beautiful Premium Wordpress Themes just for you. 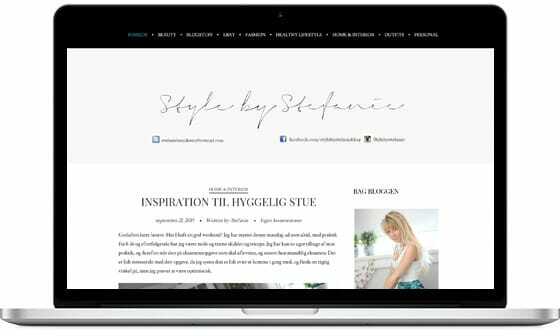 Sigurd is a text-based WordPress theme created for bloggers that just want to write, without the hassle of looking for the correct images. 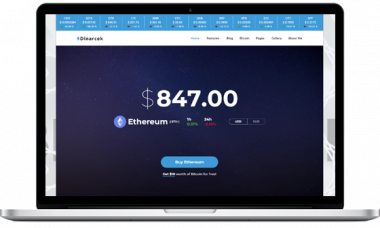 Dinarcek is your number one bitcoin WordPress theme if you want to join the cryptocurrency industry in style and skyrocket it. 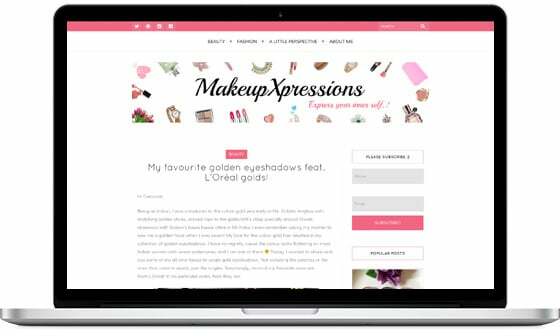 Laura is our latest WordPress Blog Theme with a feminine touch. For everyone passionate and enthusiastic about your blog. Present it with style! Anariel is our latest WordPress Blog Theme with a modern and trendy design. For everyone passionate and enthusiastic about your blog. Present it with style! 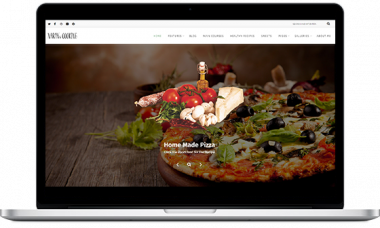 Narya is our latest WordPress Food Blog Theme with a modern and trendy design. For everyone passionate and enthusiastic about making your meals delicious. 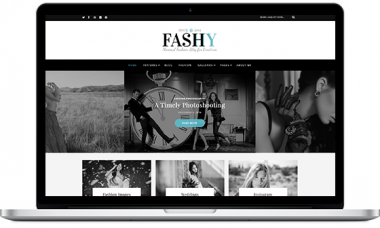 Fashy brings elegance and clean design to your WordPress Blog. Amazing new Sliders will attract your readers attention so you can present your content in an attractive fashion. LandScape is our latest WordPress theme for photographers, bloggers, creative artists, and those in need of a solid digital portfolio solution. Show your beautiful photographs. 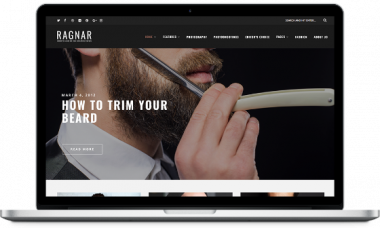 Ragnar implements the bold blog design with emphasis on latest trends. 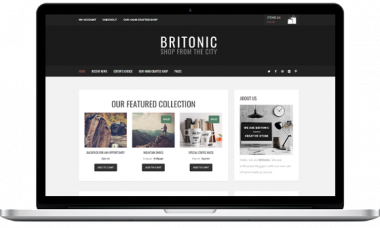 It's ideal for Fashion, Creative & Photography websites and personal blogs of all types. 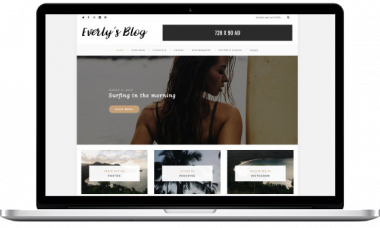 Everly implements the classic blog design with emphasis on latest trends. 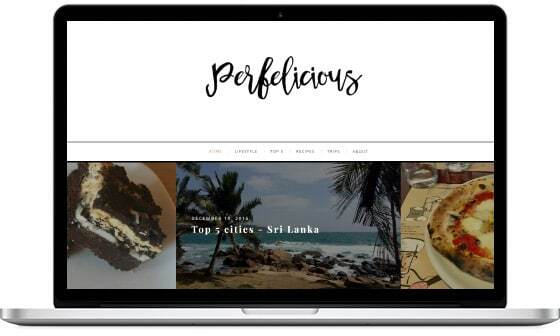 It's ideal for Fashion, Creative & Photography websites and personal blogs of all types. Freyja brings a unique style, which will be loved by fantasy enthusiasts! It presents your content in a modern way, so your readers can get the most from your blog. 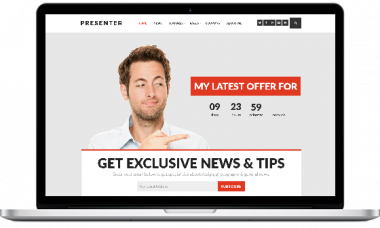 Presenter is a Wordpress Blog Theme meant for solo Entrepreneurs to present their business and services in a clean and efficient way. 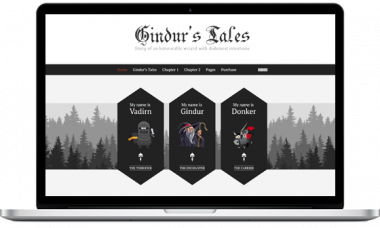 Gindur's Tales is an excellent WordPress Theme for everyone that gets caught daydreaming about mysterious medieval times. 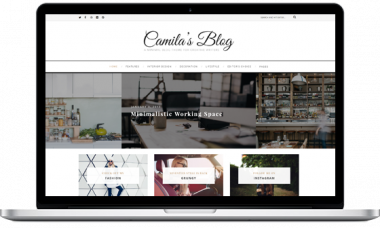 Camila is a Modern WordPress theme focused on design that highlights your content. 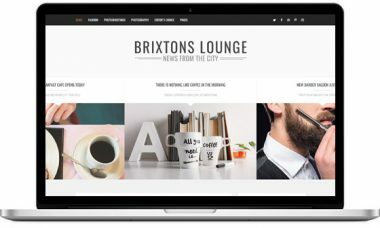 Ideal for Fashion, Creative & Photography websites and personal blogs. 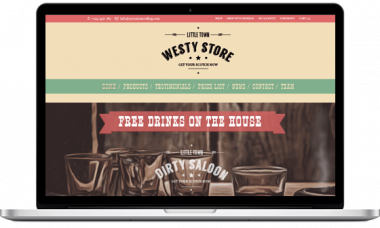 Westy - Ecommerce Theme in a rugged wild west design. A completely unique and fresh theme for all cowboys out there. Perfect for any traditional saloon out there. 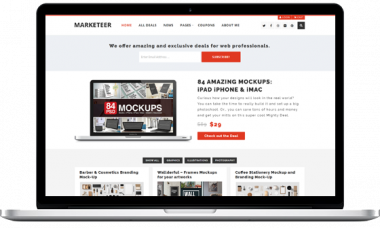 Marketeer - Digital Marketplace Wordpress Theme turns your website into a fully functional digital marketplace where you can sell any sort of digital goods. 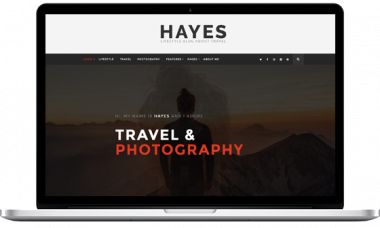 Hayes is a WordPress blog theme with a bold design. 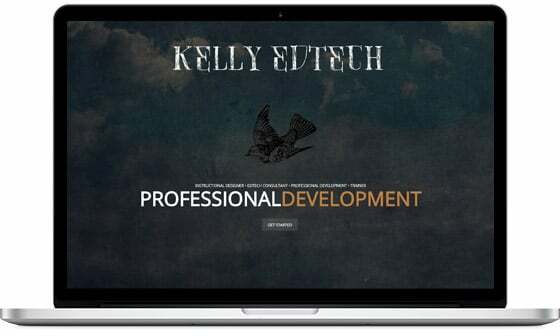 Its modern personality is perfect for any blog, but meant especially for a web design related one. 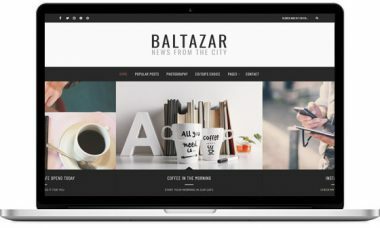 Did you ever want to sell your digital products with WordPress? Bundler Theme with Digital Downloads plugin does exactly that. Beautifully. Do you like unorthodox design that stands out from all the rest? 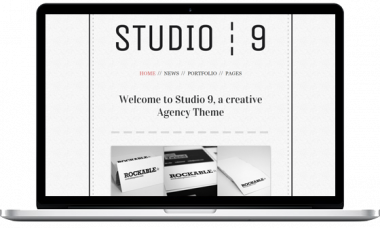 Studio 9 WordPress Theme uses only a few design elements. Just differently. 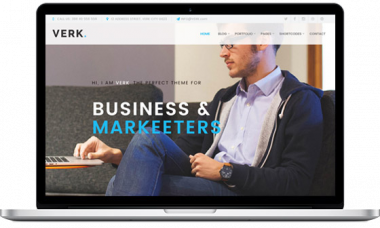 Verk is a multipurpose and flexible Wordpress theme that offers you an almost unlimited variety of unique page layouts. Designed specifically for small businesses. 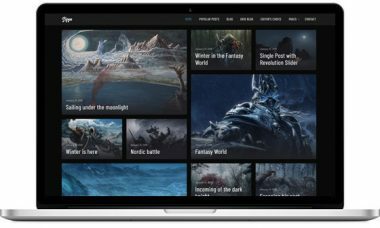 Do you love dark design and it's stronger impact on your visitors? 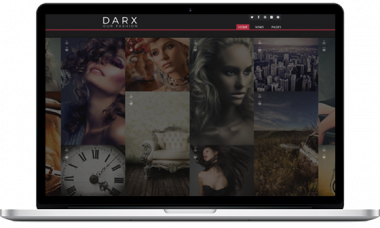 Darx is a portfolio WordPress theme for showcasing your illustrations, photographs or other work. 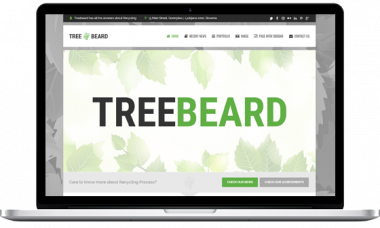 TreeBeard is WordPress theme with a simple idea behind it - ecology and recycling. 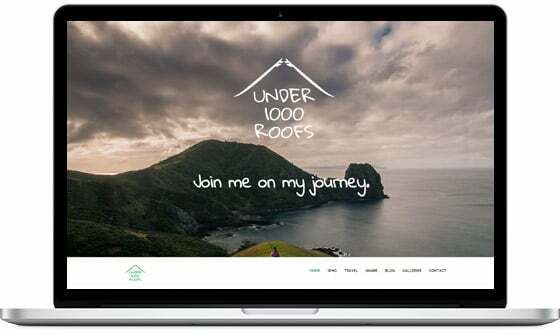 Build your nature related website with the help of Treebeard green design. Are you a creative artist in the fashion field? 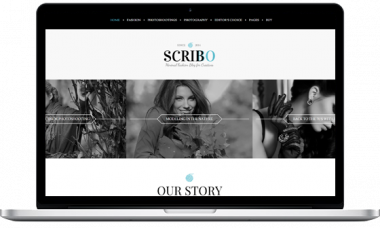 Scribbo will present your art in a beautiful way. 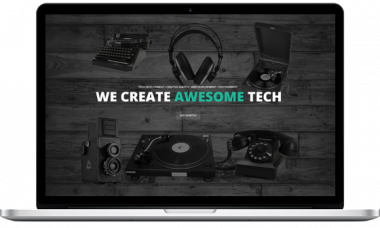 Get right to the point - no unnecessary slideshows, animations or clutter. With it's bold and trendy hipster character it's a perfect match for any urban blogger out there. Present your content in an eye catching way. Sometimes a blogger would like to add a simple shop to his blog to test out the market. That's when Britonic comes in handy. Classy and elegant. 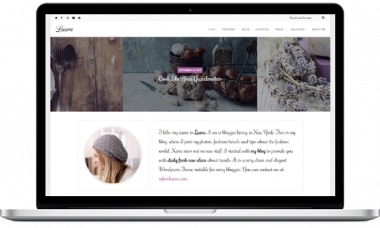 With soft pastel colors, Zarya is a modern WordPress blog theme with an emphasis on the feminine touch. Proudly present your writing with Zarya. 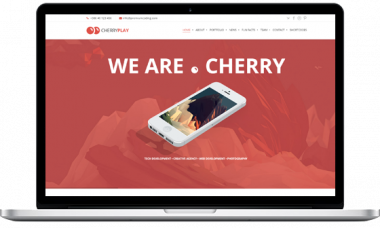 After months of hard work, we are proud to present our bright and breezy new WordPress theme: Cherry. It is a unique, multipurpose and flexible theme. 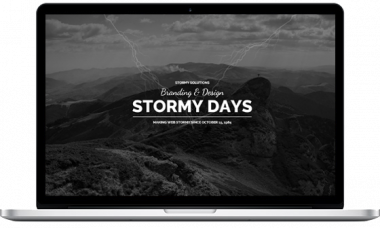 Stormyday is a WordPress theme for all of those who want to make a strong statement. With it's bold design it will keep your visitors focused on what really matter, your content. 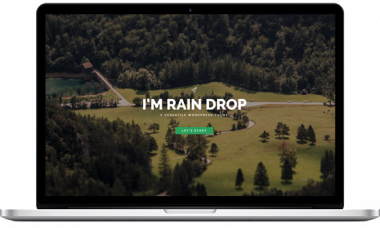 Explore the brand new features of RainDrop WordPress theme. For all those lovers of nifty animations we added the rain effect on any background of your choosing. 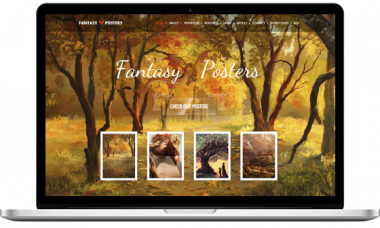 Designed with LOTR fans in mind, our new Fantasy WordPress theme will transport you to another world. Let your imagination run wild with this stunning theme. 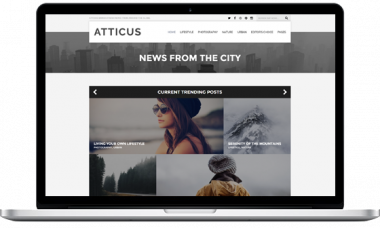 Hipstech is a smart, professional and contemporary WordPress theme. It is multipurpose and highly versatile, offering you an almost unlimited possibilities. Present your creativity with a creative Theme. 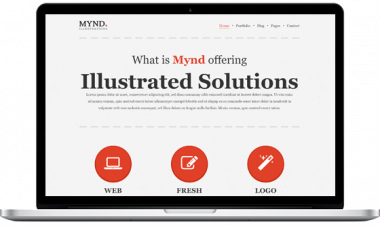 Sounds logical right Mynd is a premium portfolio WordPress theme especially designed with creative artists in mind. 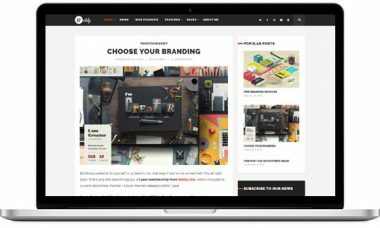 We are proud to present our new ecommerce WordPress theme, for your own unique and beautiful online store. 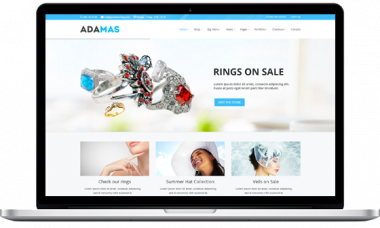 Adamas gives you versatility so that you can tailor it your needs. 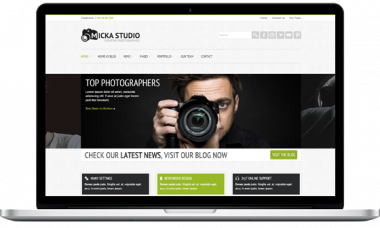 Micka is a customizable and responsive WordPress theme that is perfect for your corporate website. 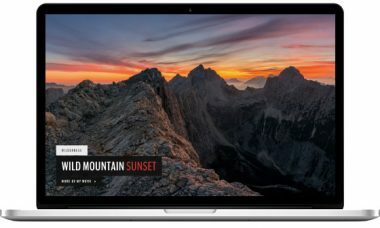 This theme utilizes a unique drag & drop IOS Slideshow. This themes are sold only on Themeforest and are not included in our year or lifetime plans! 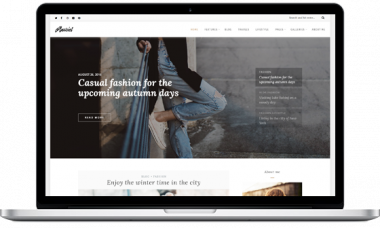 Lisbeth is a classy and modern WordPress Fashion Blog for all the Bloggers out there who strive towards minimalism. Lisbeth comes with 6 pre-defined demos. 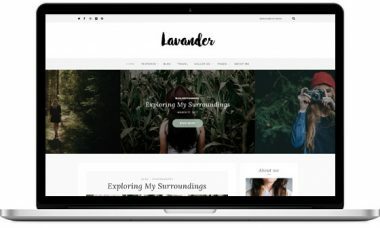 Lavander is a classy and modern WordPress Fashion Blog for all the Bloggers out there who strive towards minimalism. Lavander is fully responsive and retina ready. Webly is a Wordpress Blog Theme in clean and bold Design. It’s perfect for any personal blog. It follows the trendy design with a combination of pure elegance. 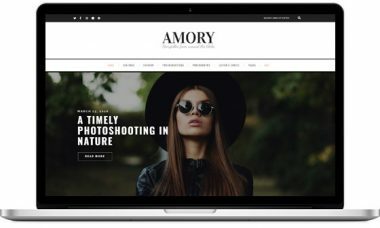 Amory Blog: Modern WordPress Blog Theme focused on design that highlights your content. 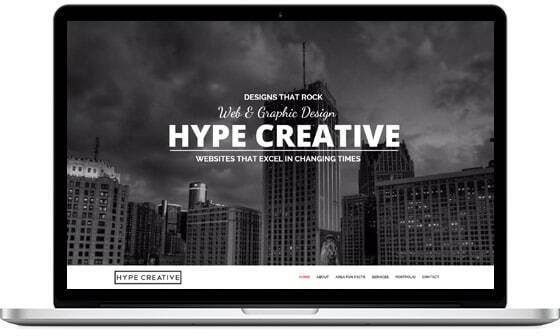 Ideal for Fashion, Creative & Photography websites. WordPress blog theme is the core of every good powered website. It all begins with storytelling. Brixton brings a unique style, loved by hundreds of happy customers! 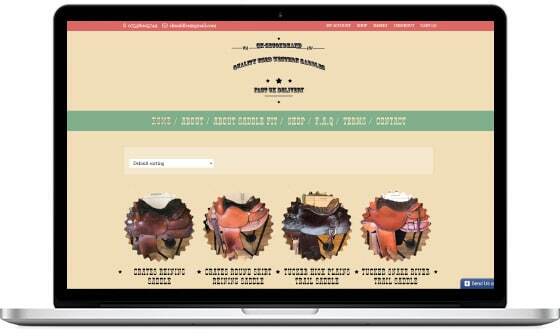 Below are some examples of what our customers have made from our beautiful WordPress Themes. We at PremiumCoding develop WordPress themes for almost 10 years. 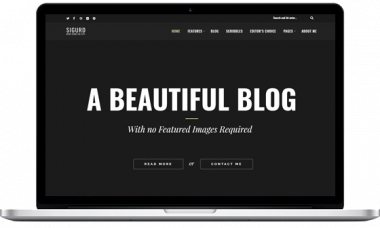 Over the last few years, we decided to go back to the roots and focus on building and creating stunning WordPress Blog Themes for every aspiring blogger out there. 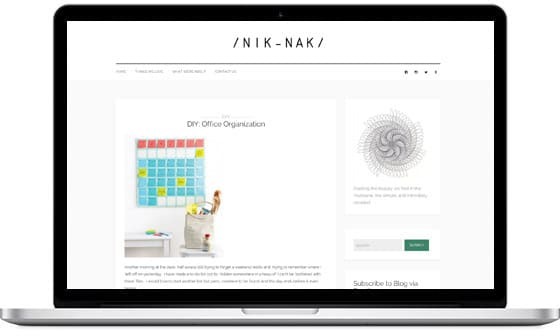 With our collection of powerful themes, it is our goal to design products that cover every niche, from basic blogging needs, all the way to entrepreneurial, traveling and fashion writers to name a few. 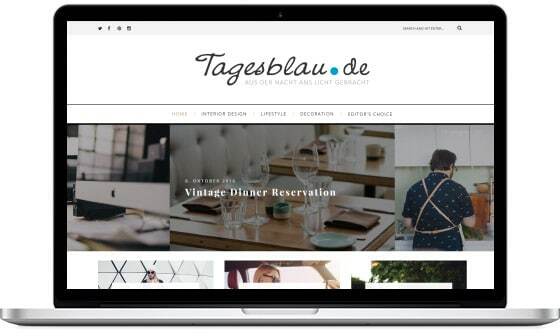 That said, we suggest to take a look at some of our latest blog themes that vary in design from bold Theme like Ragnar, to tender and stylish Theme like Everly. 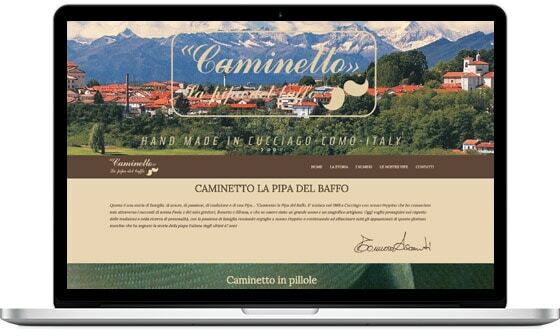 We take great care and pride in our Themes and they are all carefully designed, from typography to all the small details that make a Theme unique. This way you don't have to worry about your website being too common and plain. 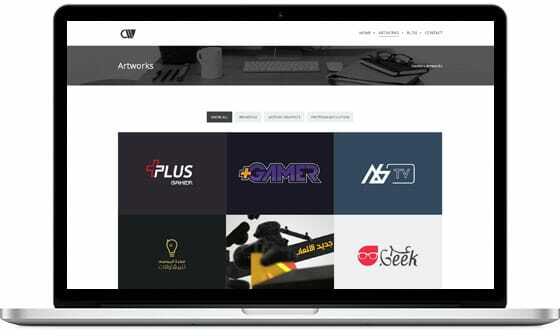 Our members have direct access to our entire collection of WordPress themes, updates, new releases, and our helpful support staff. The fact how easy it is to bring your blogging project online is almost comparable to a chill Sunday morning. A few clicks, a bit of customization, a touch of personalization and you are pretty much done. It is as easy as it sounds. With WordPress already powering more than 25% of the whole internet - and being one of the most popular blogging platforms - you would almost be foolish to take a different path. 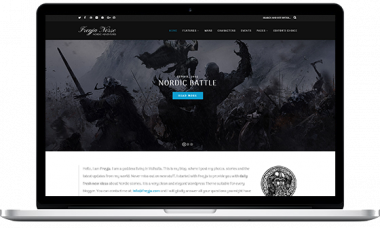 To make the realization of your blogging journey even easier and faster, we added the Lite version of some of our most popular free WordPress Blog Themes, like Ragnar and Everly. Needless to say, you can start right off the bat for free and take your Theme on a test drive to see if it is a good fit for your website. Notice: you can freely use the Lite version for as long as you would like.